Meritage Hospitality Group Inc. in Grand Rapids, a large restaurant operator and developer, today announced that on Oct. 19 the National Economic Council of the Bahamas approved a proposal submitted by Disney Cruise Line Island Development Ltd. to acquire and develop property owned in partnership between Meritage and The Related Group. 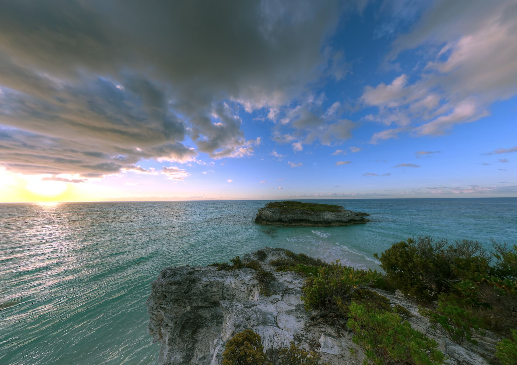 Meritage through an investment partnership managed by The Related Group owns 765 acres of fee property, known as ç, on the island of Eleuthera, Bahamas. The partnership has entered into a confidential agreement to sell a majority of its 765-acre peninsula to Disney, subject to government approvals as customary in the Bahamas. Disney has previously reported that it is prepared to invest up to $400 million in the property for the development of a cruise ship port facility, in conjunction with plans to double the capacity of Disney Cruise Lines in the next five years. Proceeds from the pending transaction will be used for general corporate purposes including new restaurant development, acquisitions, dividend distributions, and stock buy-backs, Schermer adds. Meritage Hospitality Group operates 311 restaurants in Arkansas, Connecticut, Florida, Georgia, Indiana, Massachusetts, Michigan, Missouri, Mississippi, North Carolina, South Carolina, Ohio, Oklahoma, Tennessee, Texas, and Virginia. The company has approximately 10,000 employees. For more information, visit www.meritagehospitality.com.